This blog has always been a creative outlet for me. It has been a place for me to share, with my family and dear friends, those things that bring me joy. So, when something really awful happened in my life, I wasn’t sure how to proceed with this space. A clever post about pancakes just seemed so…trivial. Until now, inaction has been my preferred course of action. Baby steps. 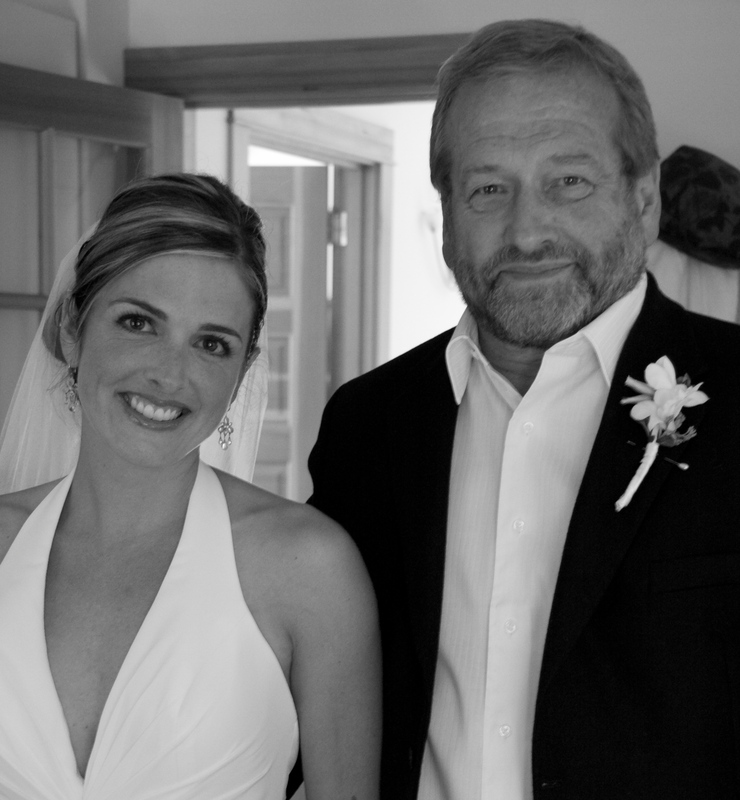 Here I am, with my dad, on the happiest day of my life. Last November, we said goodbye. And while, for the most part, I have found peace with the fact that my dad is no longer here – in the physical sense anyway, there are still moments when I feel like I’ve been kicked in the stomach. Loss is never easy. Heartbreak comes in many shapes and sizes. There are days that I feel completely myself. And days that I just want to stay under the covers. I went to coffee with a friend who told me, “the strangest thing is that life just moves on. You still have to do your laundry and make dinner.” She knows. She’s been there. And she’s right. Life just keeps chugging along….and so will I…without my dad. Dad, you are so beautiful. I hope that, wherever you are… you feel that now.